More than half of the nation's households are now headed by someone at least 50 years of age. These 65 million older households are highly diverse and require different types of housing to meet their needs and preferences. Affordable, accessible housing located in age-friendly communities and linked to health supports is particularly in short supply. 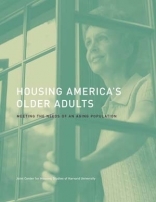 With the rapid aging of the US population, the need for affordable, accessible, and supportive housing suitable for older adults is set to increase. 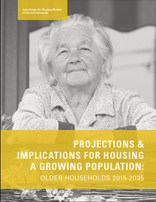 Our research in this area focuses on the demographics of the older population; the supply of housing available to adults with functional limitations and disabilities; affordability problems; the links between housing, health, and community services; and the public and private responses to these challenges. 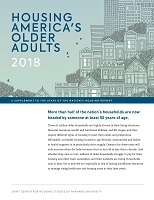 Note: There are numerous resources available for older adults and their families seeking to improve home and neighborhood environments for aging in place. While we cannot list all of them, we offer this Resource List related to home safety and accessibility, fall prevention, financial supports, and age-friendly communities, as a good place to start. 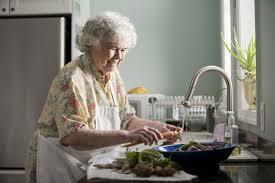 Many older adults across the US are burdened by housing costs.